We are a family run business who commit ourselves to quality workmanship. All work carried out by Smart Step and not outside or sub-contracted workforce. Fully insured with public liability, CS AFF, Council proficiency tested, licensed waste carriers. 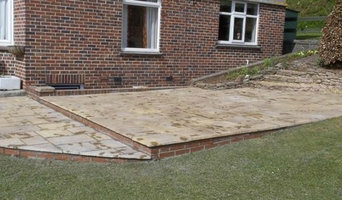 Along with satisfying all your surfacing needs, Thortech also provide a range of property services. Whether you require building work, painting and decorating or house clearance, we have a qualified team on hand. Thortech Property Services will manage your project from start to finish. Taking care of groundworks, levelling, edge work, installation of base course tarmac, and resin surfacing. All our work is Guaranteed, subject to site survey. The team at Pattern Drives Limited have over 18 years experience in the pattern imprinted concrete industry and we believe that there is a reason for this. We pride ourselves on making sure our driveways and patterns are created to the highest standard. No matter how big or small the job is, we at Pattern Drives value it just the same. 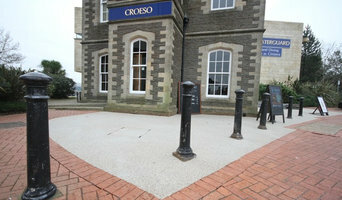 Our specialist team of professional Driveway designers and installers are based in Cardiff and the Vale of Glamorgan. Much of our work currently comes from repeat customers and recommendations, which we believe is a testament to the quality of our work, the efficiency and reliability of our company and the experience and professionalism of our staff. We have also completed some very high profile projects. We pride ourselves in being 'small enough to care, big enough to cope'. 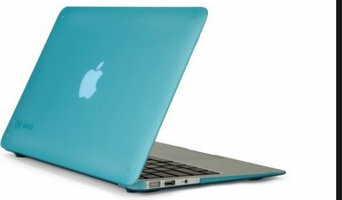 A free consultation is offered on all our services. BL Groundworks Services (Cardiff) Ltd offers construction and groundworks services to domestic and commercial clients in and around Cardiff, South Wales. From installing a driveway to unblocking the drains of your property, we can do it all. From digging a building’s foundations to connecting the drainage, BL Groundworks Services (Cardiff) Ltd provides a comprehensive range of groundworks for your project. We have 22 years’ experience in the industry and are a fully insured construction company ready to take up groundworks of any scale. For your added reassurance, we are CPCS registered and a registered waste carrier with the Welsh Waste Authority. 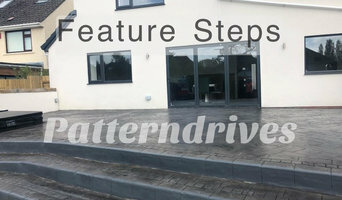 At Consolidated Drives we not only use the best materials but also offer the finest services – only using staff with many years’ experience – our experience enables us to successfully fulfil your project, whether it will be, brickwork, block paving, landscaping, red/black tarmacadam, building work, etc. Why should I hire Cardiff driveway pavers? For those building a new home from scratch or completely renovating a house, sorting out the driveway and paving around the exterior of the house is usually something that comes as an afterthought, or at least left until the main living areas areas of your home are sorted. However, it’s always a good idea to talk to professional Cardiff driveway pavers at an earlier stage because they can work in tandem with any other exterior contractors working on the job to create driveway solutions that work with the rest of your house. The driveway construction may not be able to happen until after other contractors have finished, but the space will be ready for the paving or laying of the driveway. Here are some related professionals and vendors to complement the work of driveways: Stone, Paving & Concrete, Main Contractors, Landscape Contractors, Cladding & Exterior Contractors. Find a driveway pavers on Houzz. 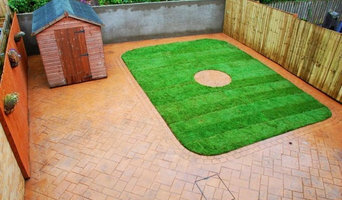 Narrow your search in the Professionals section of the website to Cardiff driveways and paving. You may also look through Cardiff photos to find examples of driveway solutions and paving that you like, then contact the driveway pavers or contractors who worked on them.